Is there a simple way to sync bookmarks across different browsers, on different devices? Yes. OK, so if you only use Google Chrome on all your devices, syncing is easy. Or just Safari on your iPad, iPhone and Mac; easy again. But mix it up a little and it becomes more problematic. 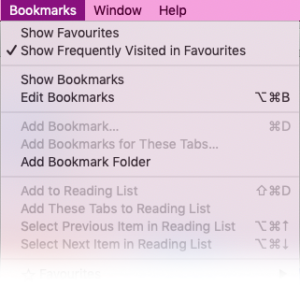 Cross-platform, cross-browser, there are various methods of syncing bookmarks, but for me they have always ended with an exponential multiplication of duplicate bookmarks, favourites and bookmark folders. Browsers do not handle bookmarks well. There is no standard. Each does it differently and leverages a different service to sync the bookmarks in the background with its counterparts on your other devices. And so the solution I have found is to have my own custom start page; a webpage with sections for all of my various bookmarks. In fact, I have a set of start-pages, or dashboards, each dedicated to an aspect of my online life. And these are really easy to set up and to keep organised. No matter what browser I use on any device, I simply log in to my start page, set it as my home page, or as the new-tab page, and off I go.